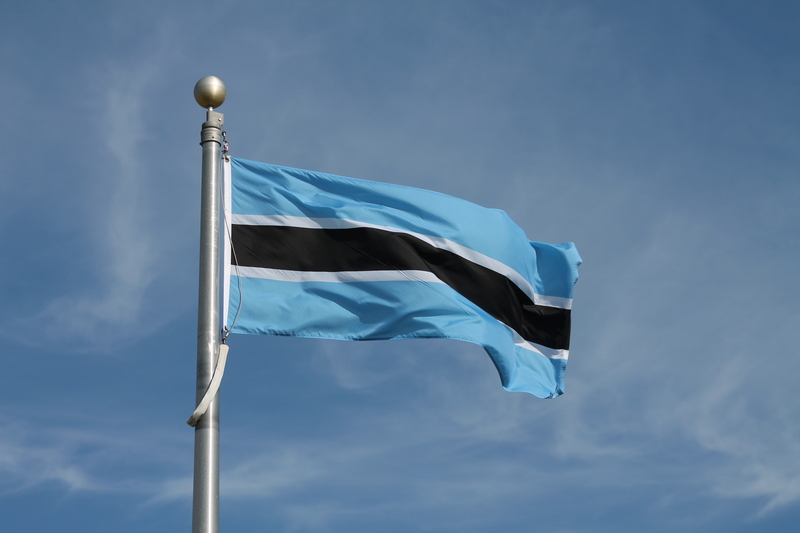 One of the poorest countries in the world at the time of its independence in 1966, Botswana has experienced tremendous economic growth over the last five decades. Its 2013 GDP per capita (PPP), $16,400 in constant U.S. dollars, surpasses that of countless economic powers with far greater standing on the international market, including China ($9,800), Brazil ($12,100) and Mexico ($15,600).1 Of course, GDP and other economic indicators are only moderately correlated with greater political freedoms and civil liberties, and some of the wealthiest countries in the world per capita (e.g. Qatar, Brunei, Saudi Arabia) have atrocious human rights records. Botswana, however, has enjoyed nearly 50 years of uninterrupted political pluralism, ranking 28th out of 167 countries in the Economist Intelligence Unit’s 2014 Index of Democracy.2 A vigorous anticorruption body, autonomous legal system, extensive private property and business rights, freedom of the press, constitutional term limits, and a multi-party system have helped make the Batswana* government the most transparent in Africa.3 In addition to the National Assembly—currently composed of 57 directly-elected members, 4 members nominated by the president and approved by the assembly, and 2 ex-officio positions (president and attorney general)—Botswana at independence established a constitutional advisory body, the Ntlo ya Dikgosi (Setswana for “House of Chiefs”), that allows members of the country’s eight major Tswana tribes, as well as many smaller ones, to have a voice in the legislative process.4 Critical social justice measures in the last 15 years—including protection against workplace discrimination on the basis of sexual orientation or HIV/AIDS status, a 2004 act establishing “equal control of marriage estates and equal custody of children” for women, and a 2013 High Court ruling that finally halted the forced relocation of the historically marginalised San people5—have further strengthened institutions of legal equality and civil liberty that stand in stark contrast to most developing countries. Thus, it is fair to wonder why Botswana, out of all the states in Sub-Saharan Africa, has achieved relative prosperity and political stability in the postcolonial era while others have fallen into a vicious cycle of repressive regimes, pervasive poverty, and even ethnically-motivated warfare. The country is far from homogenous, with many distinct tribes and languages6, and the discovery of massive diamond deposits shortly after independence could have easily triggered a brutal civil war for their control, as Sierra Leone and Angola tragically experienced. However, Seretse Khama—the hereditary chief of the Ngwato tribe, leader of the Botswana independence movement, and the country’s first president—proved to be an exceptional leader, dedicated to the advancement and unification of his people. Previously under British rule as the protectorate of Bechuanaland, Tswana chiefs repeatedly obstructed European traders’ attempts to mine their land for natural resources, knowing the discovery of valuable minerals would bring a swift end to their partial autonomy.7 Khama ensured these diamonds did not lead to conflict after independence by initiating the passage of a law that vested all subsoil mineral rights in the country as a whole, rather than the tribe to which the land belonged.8 Not only was this act essential to the new nation’s success, allowing diamond revenues to be used for public services and social welfare, but it also highlighted Khama’s selflessness and commitment to shared prosperity, as Orapa, the largest diamond mine in the world9, rests squarely within Ngwato territory and could have just as easily been exploited for his own personal gain. In accordance with this egalitarian system, Khama created a non-racial society that has never included ethnic-based questions on its census and teaches only Setswana and English in its schools, both successful efforts to unify the country behind a shared national identity. Since 2001, antiretroviral drugs have been provided to the public free of charge, increasing treatment access from the small minority of those who could afford outrageously-priced medication from Western pharmaceutical corporations to over 95% of people in need.14 Mother-to-child transmission (PMTCT) of HIV has been declined from a high of about 40% in 2000 to just 3%, a rate that rivals the U.S. and Western Europe.15 The life expectancy rate is back up to 64 years16, and with the treatment of existing cases safely under control, attention now turns to preventing new infections. Just as with nearly every other aspect of its society, Botswana is still squarely in the middle stages of development, but thanks to the leadership of several impassioned individuals and the Batswana people’s firm commitment to civil liberties and inclusive government, the country has successfully shown that lasting progress is possible, even in the world’s most impoverished areas. 1 “Country Comparison :: GDP – per Capita (PPP).” Central Intelligence Agency. Central Intelligence Agency, 23 June 2014. Web. 24 Feb. 2015. 2 “Democracy Index 2014: Democracy and Its Discontents.” Economist Intelligence Unit. The Economist Intelligence Unit Limited 2015. Web. 3 “How Corrupt Is Your Country?” 2014 Corruption Perceptions Index. Transparency International. Web. 4 Botswana. Parliament of Botswana. Ntlo Ya Dikgosi Introduction. Parliament of Botswana. Web. 25 Feb. 2015. <http://www.parliament.gov.bw/read-more>. 5 “Botswana.” Freedom in the World 2014. Freedom House. Web. 6 “Botswana.” Central Intelligence Agency. Central Intelligence Agency, 23 June 2014. Web. 24 Feb. 2015. 7 Acemoglu, Daron, and James A. Robinson. “Breaking the Mold.” Why Nations Fail: The Origins of Power, Prosperity, and Poverty. New York: Crown, 2012. 405-14. Print. 9 Zimnisky, Paul. “The State of 2013 Global Rough Diamond Supply.” Resource Investor. Resource Investor, 22 Jan. 2013. Web. 25 Feb. 2015. <http://www.resourceinvestor.com/2013/01/22/the-state-of-2013-global-rough-diamond-supply>. 10 Schapera, Isaac. “The Political Organization of the Ngwato of Bechuanaland Protectorate.” In E.E. Evans-Pritchard and Meyer Fortes, eds. African Political Systems. Oxford, UK. : Oxford University Press, 1940. 11 “HIV & AIDS in Botswana.” AVERT: AVERTing HIV and AIDS. AVERT. Web. 25 Feb. 2015. <http://www.avert.org/hiv-aids-botswana.htm#footnote21_hya45tb>. 13 Beaubien, Jason. “Botswana’s ‘Stunning Achievement’ Against AIDS.” NPR. National Public Radio, 9 July 2012. Web. 25 Feb. 2015. <http://www.npr.org/2012/07/09/156375781/botswanas-stunning-achievement-against-aids>. 14 “HIV & AIDS in Botswana.” AVERT: AVERTing HIV and AIDS. AVERT. Web. 25 Feb. 2015. <http://www.avert.org/hiv-aids-botswana.htm#footnote21_hya45tb>. 16 “Human Development Reports.” United Nations Development Programme. United Nations Development Programme. Web. 25 Feb. 2015. <http://hdr.undp.org/en/countries/profiles/BWA>.